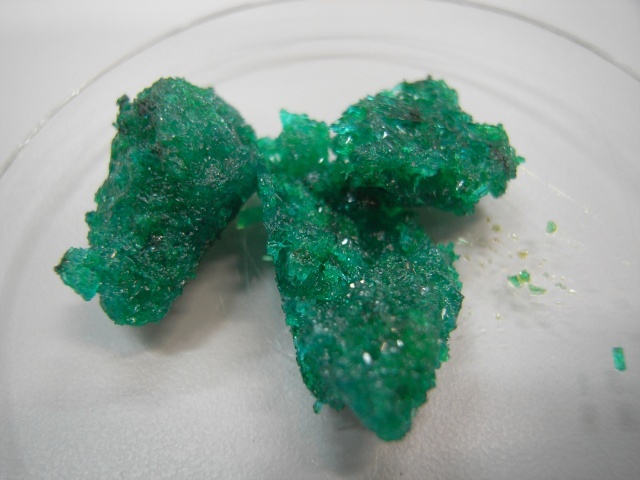 Copper (II) nitrate and copper (II) sulfate are blue, whilst copper (II) chloride is green. Transition metals like copper often produce coloured compounds. 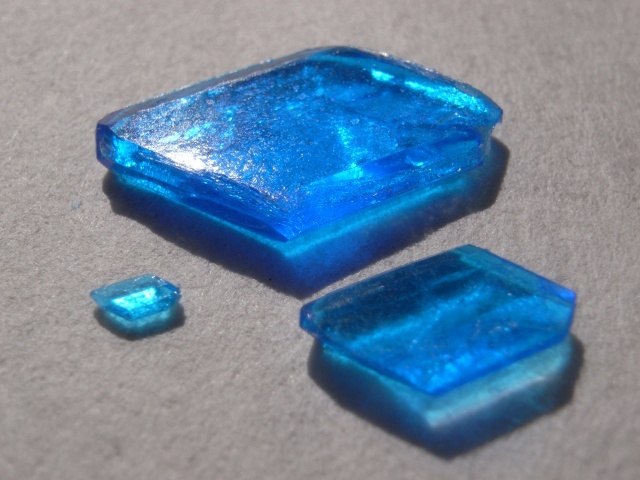 Below are some pictures of the three copper salts mentioned and it’s easy to see the characteristic diamond shape of the blue copper (II) sulfate crystals in the last one. Another question posed last time asked what is a dessicator? 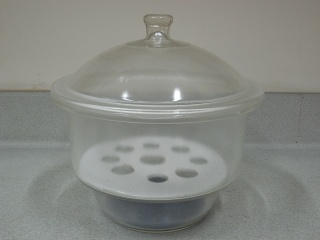 A dessicator is a piece of apparatus used in the chemical laboratory to keep compounds dry. Here are some pictures of a dessicator. 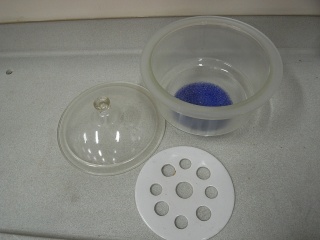 The first picture shows the dessicator parts; the lid in the middle of the picture on the left, the base of the dessicator containing blue silica gel at the top and the white sample stage with holes at the bottom of the picture. 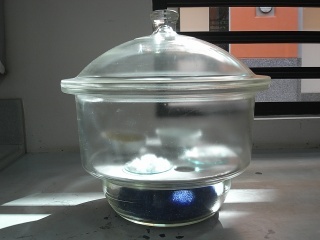 The ground glass lid is airtight and needs to be slid off when used. The silica gel beads absorb water and contain a colouring agent which changes from blue to pink when they have absorbed a certain amount. Then they need to be taken out and dried in a hot oven to regenerate them. The change that has taken place is that water that was inside the aluminium sulfate crystals, the so called water of crystallisation, has migrated out leaving behind a dehydrated solid (at least at the surface). 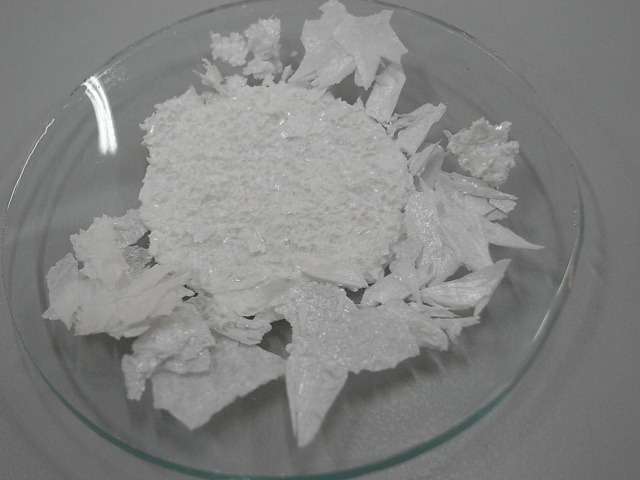 If the aluminium sulfate were to become completely dry, with no water present, it would be called anhydrous. 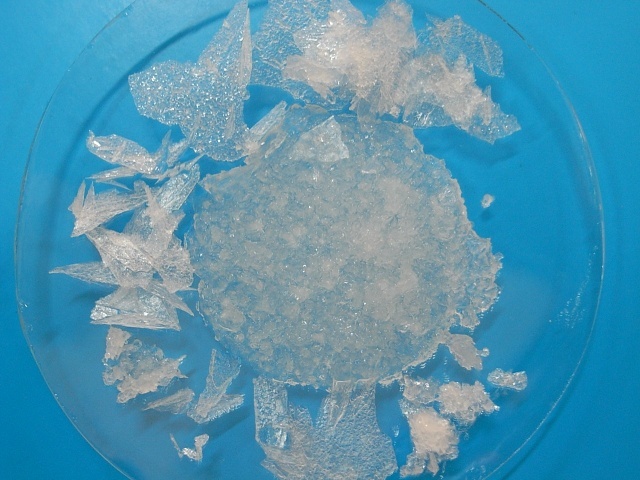 Not all crystalline salts contain water of crystallisation. Some do and some don’t. 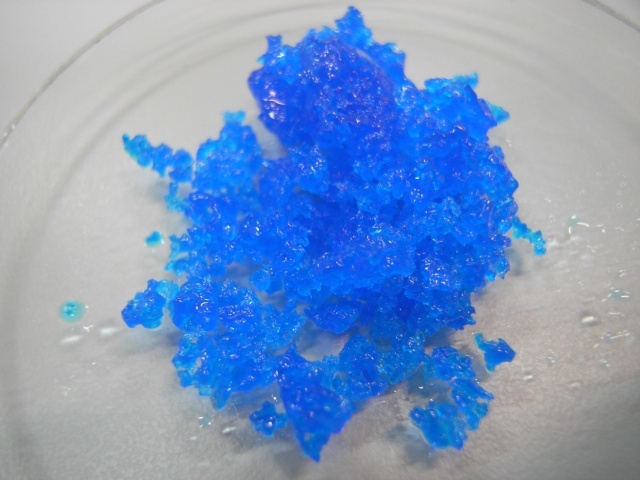 Blue copper (II) sulfate does contain water of crystallisation and its formula is not simply CuSO4. What is it?